How Often Should a Business Back up Its Data? : Consolidated Technologies, Inc.
Far beyond any costs associated with a warehouse filled with your products or the equipment you use, your data is now most likely the single most valuable asset your company possesses. That’s why it’s so sobering to realize what you could lose when you consider how many ways data loss can occur. Hardware fails, power outages occur, cyber threats are increasingly sophisticated, and natural disasters don’t care whether or not you have an emergency preparedness plan that includes backing up your data. What’s more: Everything from human error to insider threats can leave your business crippled if you focus only on putting up firewalls to protect against external threats. And none of this even takes into consideration the outright loss of sensitive business data due to the theft of equipment. The FBI estimates that 97 percent of stolen computers won’t ever be recovered — let alone the data on them. What’s clear is that any company can be affected by data loss. In fact, according to Small Business Trends, approximately 140,000 hard drives fail each week in the United States alone. 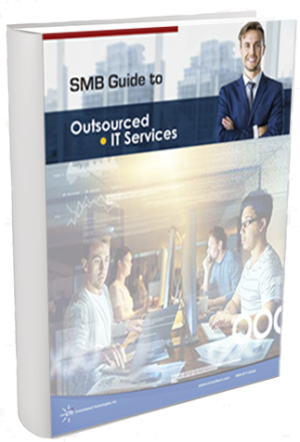 In addition, it’s estimated that 58 percent of small- to medium-sized businesses are not prepared for a loss of data. And even worse, 60 percent of companies that suffer data loss are forced into closing down within six months. We collect more and more data every day, and its value is constantly on the rise. That’s why the answer to the question of why businesses need to regularly back up data is as much about security and privacy as it is about protecting your company’s most valuable asset and your ability to survive an accidental or malicious event. Clearly, data loss can be devastating to your business. To put this threat into perspective, the Ponemon Institute conducted independent research into the costs of data loss. After interviewing more than 2,200 IT professionals from more than 475 companies worldwide, they published the 2018 Cost of a Data Breach Study: Global Overview, which found that the average cost of a data breach was $3.86 million — a 6.4 percent increase over the year before. Of course, many small businesses might think they’re immune to such dangers. However, the 2018 Data Breach Investigations Report from Verizon found that even in industries that were once far less of a target — like those in the manufacturing sector — an overwhelming 86 percent of breaches that resulted in data loss were targeted cyber attacks where the theft of intellectual property was the prime motivation. To maintain continuous access to your data — instead of falling prey to malicious ransomware or preventable human error — you need to make data backup a regular part of your business’s IT practices. How Often Should a Company Back up Data? It’s a fact: Many businesses simply do not have an adequate data backup regimen. Why else would so many data recovery companies be kept busy nowadays? But according to many IT professionals, hardware failures and software corruptions still account for more than three-quarters of all business data losses. This fact means that having the right data backup plan for small businesses can help SMBs avoid much costlier damages later. It enables them to be proactive with regard to their data management instead of being forced into reactionary measures after a data loss has occurred. Businesses need to have a set backup plan and strategy. Companies like CTI can help your business figure out a custom plan specific to your business needs. Having worked in the IT and communications field since 1997, our team of experts at Consolidated Technologies, Inc. knows that the best answers to these questions lie first and foremost in the regularity with which you back up your data. 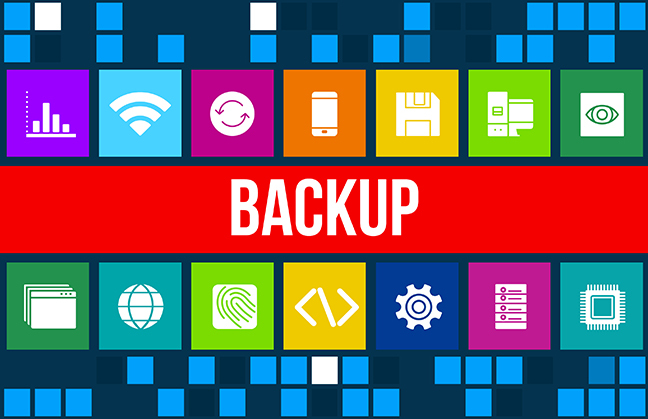 While some companies are able to get away with conducting a monthly data backup, others might have to institute a weekly — or even daily — backup of newly acquired data. In addition, remember that any backup plan that relies on manual processes is prone to human error. For this reason, we strongly recommend working with an IT solutions provider like CTI to help you implement an automatic backup regimen that takes place regardless of how busy you and your staff are during any given period. Now that we’ve firmly established the importance of why businesses need to regularly back up data, the next question is, “Where should you back up your data?” Once again, there are myriad problems your business’ premises can face, from fires and floods to theft and other malicious attacks. 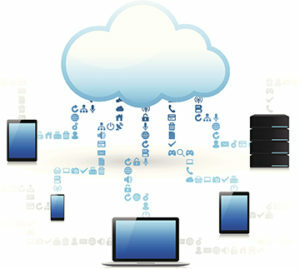 You’re best advised to consider the benefits of cloud computing solutions. The cloud offers a scalable solution for both the secure backup of your data and its remote storage to ensure that it’s safe off-site. This setup is especially important in the event that something happens to your physical business or hardware that takes away your ability to access your data locally on your computers, laptop, devices or external hard drives. According to Small Business Trends, 78 percent of SMBs will practice data backup to the cloud by 2020. 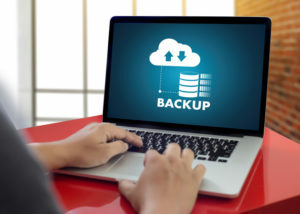 In addition, just like physical security systems often use redundancy plans, some 84 percent of businesses that currently use cloud backup also practice on-site backup. Finally, regardless of the system of backup you choose, it’s also crucial to test it on a regular basis to check if it’s functioning properly. Protect Your Data With Customized Solutions From Consolidated Technologies, Inc. Whether you choose a public, private or hybrid cloud solution for your data backup and storage, it’s nice to know that you can work with one company that can supply you with just the right solution you need today — and provide scalable solutions as your business grows in the future. To learn more about data backup and schedule a free consultation, reach out to our expert team at Consolidated Technologies, Inc. With over two decades of experience helping more than 2,000 companies throughout New York and the Tri-State area, we’re ready to help you. Fill out our contact form, or call us today!